So Cal In-Home Care service makes it possible for you or your loved one to maintain as much independence as possible by providing compassionate, caring, professional care providers to assist in activities of daily living and companionship. We offer long-term and respite care. I have been a resident of Porter Ranch for 16 years. I have been providing experienced, professional caregivers to clients for 8 years. I have great compassion for families going through the hardships of caring for a loved one that is suffering from illness or just needs a "helper" or companion. I was my father's caregiver manager for 6 years after he was diagnosed with Lewy Body Dementia. So Cal In-Home Care, has compassionate, professional, and experienced care providers. We also have specially trained caregivers for Hospice and Palliative Care. Please call for a free in-home assessment. Proudly serving the greater Los Angeles and Ventura Counties. I highly recommend Rhonda at So Cal In-Home Care. She has been totally committed to finding us a perfect caregiver match for my father. She is very professional and kind. We contacted So Cal In-Home Care when it became apparent that my mother needed 24/7 care in her home. Rhonda came to meet with us and she won us over. She interviewed us in a caring and respectful manner to determine our needs. 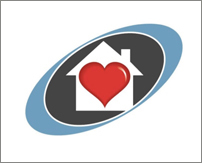 I highly recommend So Cal In-Home Care as a solution to in-home care for those that need it. I was in awe the way Rhonda was so patient with my mom, answering the same questions over and over that had nothing to do with why Rhonda was there. Mom was very resistant to having a care provider, but somehow Rhonda seemed to have made mom feel better about it. Unfortunately, mom passed before we were able to get her help at home.